We have a philosophy at HHT that we can form more of a partnership with a horse if we make them feel more comfortable in our presence. Then the partnership is both the doorway, and the house, of our training endeavors. It's a bit like the difference between making a cake and buying one. It seems like buying one is a much better idea, it is more convenient and there is more choice.. we can have it right now after all. But really, the homemade one is enjoyable to cook, it is something we have created ourselves, with our own resourcefulness. It is an experience, and in the end it will (usually) taste much better and be healthier because the ingredients were fresh and simple. 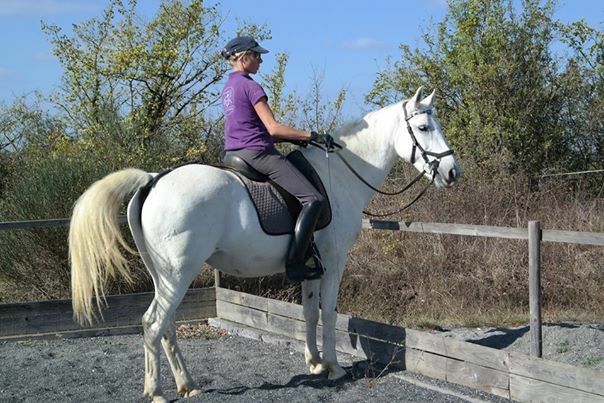 We'd like to describe some of the ways you can make horses comfortable and therefore willing to work. It is a positive circle, when they are feeling better in themselves, they are more willing to work with us, and that makes them more comfortable again, and so on. There isn't really a distinction between 'making them comfortable' and 'training'. In fact it is all the same thing. * TRUST our horses. 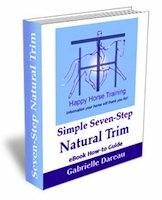 It is important to make the first step, because you are asking the horse to work with you, not the other way round. If you trust them to be careful of you and to listen to you, then they will feel safer, because you are believing in them and resonating with their responsible side. Then sooner or later, usually sooner, they will trust you. * LISTEN to them. This means 'be' with them in each moment, so it's like the two of you perceiving the world together. If you can do that you start to develop your sensitivity to how they feel in each moment. For example, what is a little bit of reluctance that you could encourage them through, and what is a lot of pain that you have to acknowledge and address. The line between those too is finer than a lot of us imagine. * BALANCE them. You can only do this by balancing yourself, on the ground or in the saddle. The root of most discomfort in working horses not caused by equipment or unrelated physical problems, is lack of balance. 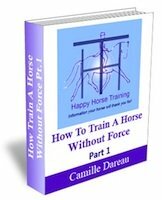 If your postural influence can balance a horse's body then you are giving them the greatest feeling of security they can experience with a human. These are just some examples. The joy of spending time with horses is finding your own language of comfort. There are no rules other than to make the horse feel better in themselves, not worse. That might sometimes mean being firm, and supporting some resistance until it softens, but there is supporting (comfortable) firmness and forcing firmness. You have to seek our the difference. 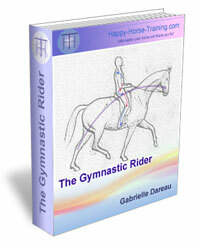 Only you can know in your own heart what your intention is, and how you are contacting your horse.